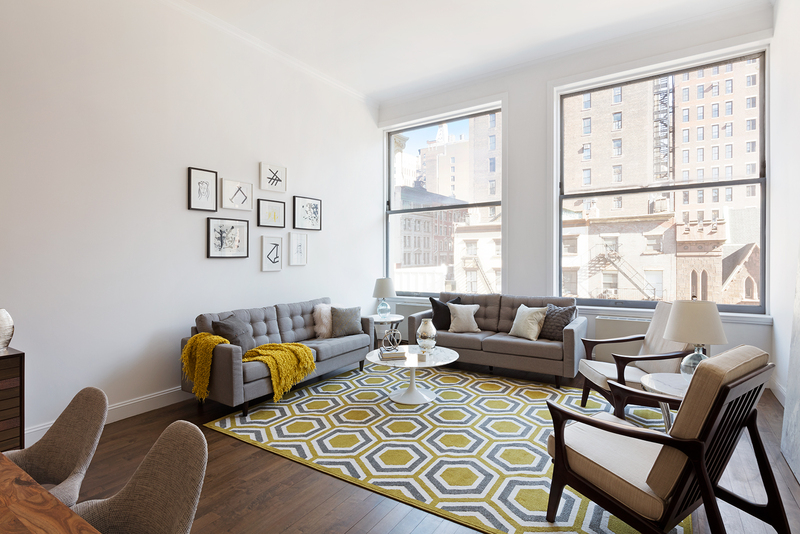 Welcome home to this bright, 2-bedroom, 2.5-bathroom eastern-facing loft with 13-foot ceilings in Flatiron's historic O'Neill Building. Anchored by two oversized windows overlooking Sixth Avenue, the chef's kitchen is complete with Viking, Zephyr and Sub-Zero appliances, as well as a beautiful Carrera marble island open to the expansive living/dining room. The corner master bedroom features a bonus alcove study and en-suite bathroom with soaking tub, double vanity and separate stall shower. The second bedroom is equally beautiful and large, with original cast iron columns and architectural views. 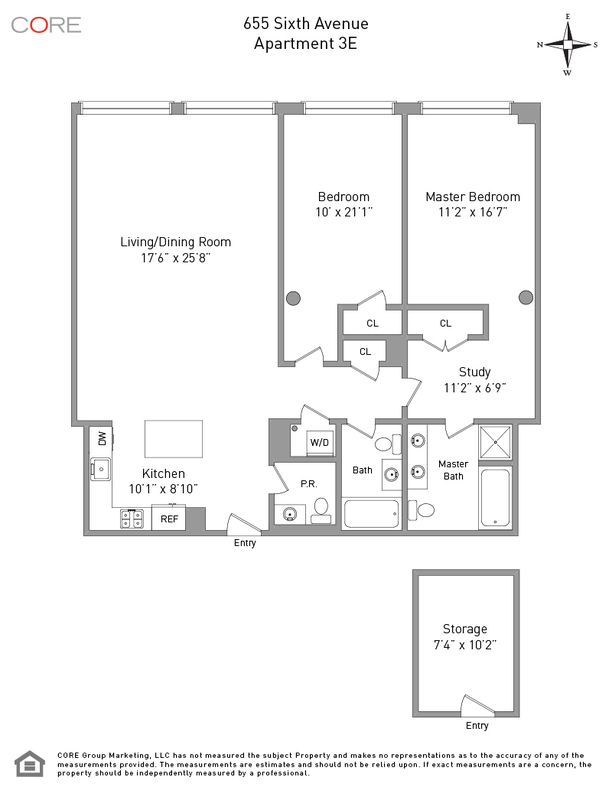 Additional luxuries include an in-unit washer/dryer and separate 10' x 7' storage room located on the same floor.